Yotsubato! 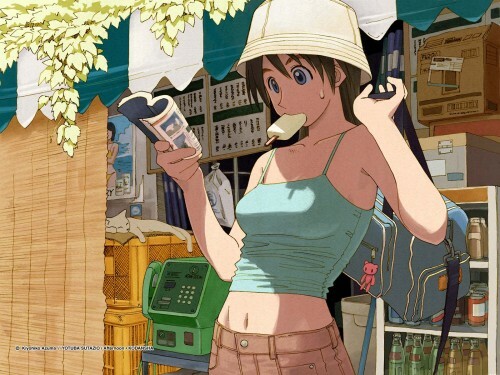 : Asagi from Yotsuba to! Minitokyo »	Yotsubato! Scans » Yotsubato! : Asagi from Yotsuba to! Hey I found this picture lying around my computer, and I've forgotten where I got it from, but I think I found it along with the Yotsuba to! manga, so it might have been an official site of hers or something.. So cute! Love what you did with this! Great job! Really nice! I love "Yotsuba to!". Wow, the style is so clear. It reminds me of some of the new age anime coming out of Japan. It is a great scan you have posted here. I agree Azuma is more than one-shot mangaka too. His latest manga is as hilarious as Azumanga.